Whether you drive 7,500 miles, 20,000 miles, or anywhere in between, Mercedes-Benz Financial Services’ First Class Lease® can be customized to meet your specific needs while lowering your monthly payment. Our High Mileage lease option provides an extra 5,000 miles per year for a total annual allowance of 20,000 miles. Or, if you currently drive less than 10,000 miles per year, our Ultra Low Mileage lease may be right for you with only 7,500 miles/year. For more information on these special lease options, speak to your authorized Mercedes-Benz dealer. Exchange your current Mercedes-Benz for a new Mercedes-Benz. Return your current lease. 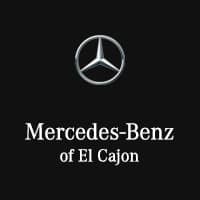 Mercedes-Benz of El Cajon is ready to assist with vehicle inspection and return whether or not your began your lease with Mercedes-Benz of El Cajon. *Subject to credit approval on your current Mercedes-Benz Financial Services lease only. **Subject to credit approval. Regardless of where you began your Mercedes-Benz lease, Mercedes-Benz of El Cajon is here to help make your lease end/return simple and convenient. Please ask for a Lease Return Specialist, remember to bring your spare keys and manuals, and let us know how we can best accommodate your schedule.